Two new natural skincare beauty labels from Latvia and Italy are now available here. Started in 2001, Stenders from Riga, Latvia, offers skincare, bath and bodycare products. Ninety-five per cent of the 300 products are handmade in Latvia and a handful are blended with native Latvian plants such as linden blossom, cranberries and lavender. Life's picks: the colourful soap bars decorated with dried rose buds and swirled with skin-nourishing extracts (from $9) as well as body scrubs mixed with seeds and other plant extracts (from $29, below left). Prices start from $10 for a lip balm to $54 for a bottle of face serum. Stenders is at 03-75 Plaza Singapura, The Atrium@Orchard, 68 Orchard Road. Tuscan skincare label Bottega Verde started out as a small herbalist's shop in 1972 in Pienza, Italy. Today, it is known for its natural skincare products. Prices start from $5.90 for a bottle of nail polish to $59.90 for a jar of cream. Its bestsellers include the Goji Perfect skincare line, which is made with the antioxidant-rich goji berry (from $39.90, above right); as well as the Red Grape collection (from $12.90) concocted with extracts of red grapes grown in the Tuscan countryside. Bottega Verde is available at 02-454 Suntec City Mall, 3 Temasek Boulevard. Uniqlo's latest collaboration with French style icon Carine Roitfeld launches tomorrow. The former editor-in-chief of Vogue Paris and now chief editor of biannual fashion publication CR Fashion Book is known for her sharp tailoring and form-fitting skirts like the one in the campaign photograph (above). Dress like her in cashmere leopard-print knits ($169.90), faux fur coats ($199.90 to $249.90), silk blouses ($79.90) and a black pencil skirt that ends just below the knee and is made of synthetic leather ($79.90). There are 50 pieces in the collection, with prices from $14.90 for a pair of tights to $299.90 for a wool-blend coat. On sale at Uniqlo's Ion Orchard store (B2-38/B3-51/52), with selected pieces available online (www.uniqlo.com/sg). 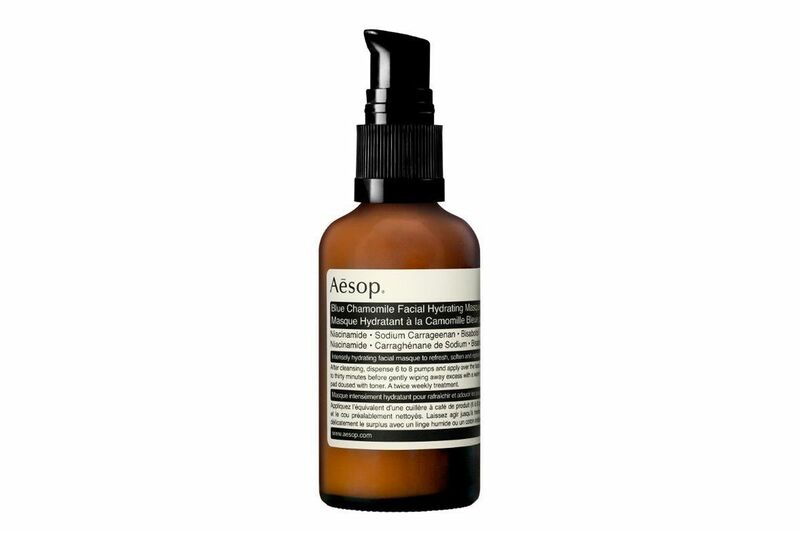 Aesop's new versatile Blue Chamomile Facial Hydrating Masque ($69, from Aesop stores) might just be what you need in this hazy weather. This leave-on gel mask is made for normal to dry skin that is exposed to dry, humid and polluted environments. It contains blue chamomile to purify skin; ginger root, rosemary leaf and lavender essential oils to calm and soothe; as well as pro-Vitamin B5 to nourish. The mask can be used in multiple ways. Leave it on for 30 minutes for a quick skin treat or overnight for a more intense treatment. It can also be blended with Aesop's skin-clearing Fabulous Face Oil to decongest skin or with the B Triple C Facial Balancing Gel to add suppleness and brighten skin. American bag brand LeSportsac, known for its casual nylon bags and fashion collaborations with Stella McCartney and Diane Von Furstenberg, has designed an exclusive print for Singapore with local design studio Black. 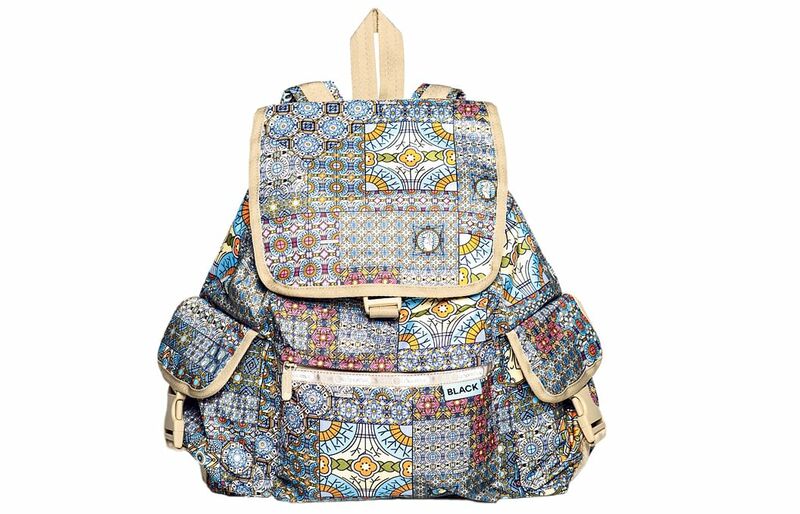 The LeSportsac Singapore Exclusive Kaki Lima collection is named after the colourful tiles found along the five-foot-ways of traditional shophouses, which also inspired the geometric print of the bags. The Merlion, Singapore Flyer and Gardens by the Bay are also featured in the print, which will adorn 15 of LeSportsac's best-selling bag styles, such as the Classic Hobo and Weekender. Prices range from $40 for a small pouch to $270 for a Voyager Backpack . The collection is available at the brand's Ion Orchard shopping mall boutique (B1-12A) and Heritage Shop @ Robinsons Heeren Level 5.